*Quoted as expert in article. Doulas aren’t medically trained, so they can’t provide medical advice, but there’s still a lot they can do to support your pregnancy — including helping you understand the advice your doctor gives you. Tracey O’Halloran had one C-section and didn’t want another, so she found a hospital that would respect her wishes — and a doula, Katie Prendergast. Tracey had it right: Doulas are amazing. Read more on Scary Mommy! Exercise does not have to be held together by laces, sweat-wicking spandex, and a Jillian Michaels playlist you found in a fitness magazine. Toning and stretching your muscles and livening up your heart rate can happen anyplace, anytime. Of the suggestions below, some are a few of the endorphin-eliciting quickies I partook in while my uterus was packing a baby, and some are ideas from the human-making babes I’ve worked with. I encourage you to try these, then work out your creative nature by thinking up new ways to get in a quickie. While you’re doing dishes, scrolling through your phone, or engaging in any other stationary activity, squat into it. A squat is an excellent way to prep your birthing muscles and get comfortable assuming the most effective birthing position, which is . . . a squat. Play around with the squat until you find a position that you feel secure in while it’s causing your glutes and thighs to tighten. No need to assume a full squat; bending your knees a bit and lowering your tush a few inches is effective. Squat for as long as you feel comfortable, and upgrade the benefits by dropping some Kegels into the mix. *Quoted as expert for this article. 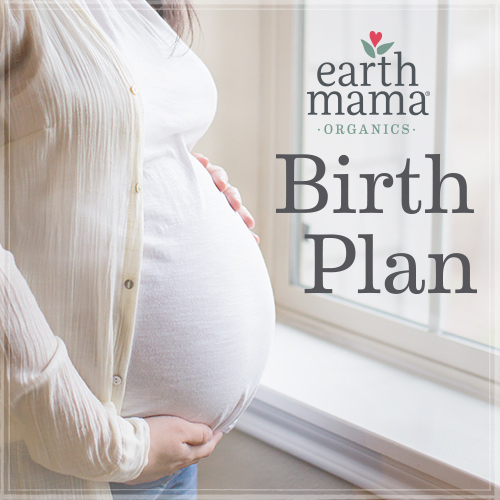 No two birth stories are alike, but that doesn’t mean there aren’t still some universal guidelines that can help any mom-to be. If you plan on having a Cesarean delivery (or even if you don’t — birth is unpredictable) then you might be relieved to know that there are actually quite a few ways you can prepare for your C-section. If you aren’t familiar with the procedure, a c-section is “the delivery of a baby through a surgical incision in the mother’s abdomen and uterus,” according to Baby Center. In most cases, the end result will leave you with a thin, horizontal scar slightly below your bikini line. Due to multiple chronic illnesses which affected my pregnancy — Lupus, an autoimmune disease, Ehlers-Danlos Syndrome, a connective tissue disorder, and scoliosis, to name a few — I knew well in advance that I was going to have a medically necessary C-section. This gave me plenty of time to research, and it also gave me plenty of time to worry about every hypothetical situation in the book. Thankfully, you can ease your mind by knowing what to expect when you check out these things you can do to prepare for your C-section. Preparing for a permanent resident in your life that you’ve never met can be tricky, but doing nothing to prepare is even trickier. While there is no way to ensure you won’t be popped with surprises during early motherhood, there are ways to set yourself up for greater success, satisfaction, and sanity before your wiggly little person makes their grand entrance. Babies have a sneaky way of taking over every square inch of your house if you don’t designate specific areas wholly devoted to your noisy cherub. For example, set up a changing zone in one room of your house (or two if your home is spread out) and an always stocked and organized diaper bag you can grab for on-the-go changes (like blowouts so messy it’s best to bring the supplies to baby.) In addition, consider setting up play zones, feeding zones, sleep zones, dressing zones, and any other zones you think your baby will need. Oh sweet relief- after a long day of being pregnant you’re finally nestling in your soft bed, cuddling with your body pillow, and listening to your partner not snoring – you’re ready for a good night’s sleep. But wait, you can’t sleep? While pregnant women should absolutely be exempt from insomnia it unfortunately has a one-sided love affair with them, thinking they want it in their bed when really they would do anything to get rid of it. So, what’s up with that? Why is it so common for exhausted with-child ladies to be wide-awake for hours past their bedtime? Special thanks to Bailey Gaddis for sharing her transcendent birth story with us. Like many mothers, she was desperate for labor to start after she passed her due date. But once things got started, cervical dilation measurements played a major role along the journey: from determining if it was time for admission to the hospital to causing her doctor to decide to break her bag of water to determining that her dilation was too far advanced to get an epidural. Read on to see how she harnessed her inner strength throughout her birth experience. You can find the full story in Bailey’s book, Feng Shui Mommy: Creating Balance and Harmony for Blissful Pregnancy, Childbirth, and Motherhood, available on Amazon. Inspired by her beautiful story? Check out her website, Your Serene Life, where you can learn about hypnobirthing and childbirth classes. • Squats: While you’re doing dishes, scrolling through your phone, or engaging in any other stationary activity, squat into it. A squat is an excellent way to prep your birthing muscles and get comfortable assuming the most effective birthing position, which is . . . a squat. Play around with the squat until you find a position that you feel secure in while it’s causing your gluts and thighs to tighten. No need to assume a full squat; bending your knees a bit and lowering your tush a few inches is effective. Squat for as long as you feel comfortable, and upgrade the benefits by dropping some Kegels into the mix. Read more on New Spirit Journal!